Smoothes the skin and removes impurities from the surface.Removes excess oil from the skin;Provides a feeling of freshness. 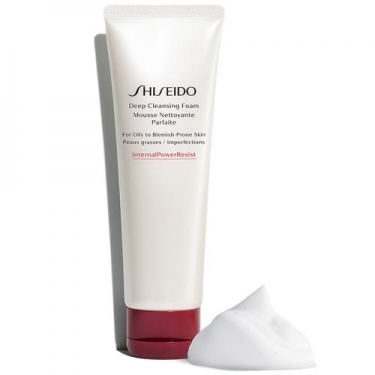 Deep Cleansing Foam from Shiseido is an invigorating cleansing foam containing sebum absorbing powder and microscopic purification granules to remove impurities and remove excess surface cells. The skin becomes incredibly smooth and natural silk extracts provide intense hydration and restore proper barrier function. The rich, creamy formula easily turns into a thin, resilient foam that allows the skin's protective ingredients to remain on the surface after rinsing to promote damage-resistant skin. Ideal for oily and blemish-prone skin. 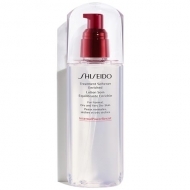 Dispense approximately 1cm of product into the palm of the hand;Add a small amount of water and work until frothing;Wash your face thoroughly and rinse thoroughly.